A propargyl-functionalized salt, 1-(2-methoxyethyl)-3-(prop-2-ynyl)benzimidazolium bromide (1), was prepared. 1-(2-methoxyethyl)-3-[(1-phenyl-1H-1,2,3-triazol-4-yl)methyl]benzimidazolium hexafluorophos- phate (2) and 1-(2-methoxyethyl)-3-[(1-(4-nitrophenyl)-1H-1,2,3-triazol-4-yl)methyl]benzimidazolium hexafluorophosphate (3) were obtained by Cu(I) catalyzed azide-alkyne cycloaddition reaction of 1 with corresponding azides. Compound 3 was transformed to 1-(2-methoxyethyl)-3-[(1-(4-aminophenyl)-1H-1,2,3-triazol-4-yl)methyl]benzimidazolium hexafluorophosphate (4) by reduction reaction with hydrazine monohydrate. The structures of these propargyl- and 1,2,3-triazolyl-functionalized benzimidazolium salts were elucidated by FT-IR, 1H NMR, 13C NMR and elemental analysis methods. 1. Arduendo, A.J, Harlow, R.L, Kline, M, A stable crystalline carbene, Journal of American Chemical Society, 1991, 113, 361-363. 2. Marciniec, K, Latocha, M, Kurczab, R, Boryczka, S, Synthesis and anticancer activity evaluation of a quinoline-based 1,2,3-triazoles, Medicinal Chemistry Research, 2017, 26, 2432-2442. 3. Yadav, P, Lal, K, Rani, P, Mor, S, Kumar, A, Kumar, A, Efficient synthesis and antimicrobial evaluation of 2-((1-substituted-1H-1,2,3-triazol-4-yl)-1-naphthaldehydes and their oxime derivatives, Medicinal Chemistry Research, 2017, 26, 1469-1480. 4. Subhashini, N.J.P, Sravanthi, K, Sravanthi, C, Reddy, M.S, Microwave-assisted synthesis of pyrazole-based 1,2,3-triazole derivatives and evaluation of their antimicrobial activity, Russian Journal of General Chemistry, 2016, 86, 2777-2784. 5. Ali, A.A, Gogoi, D, Chaliha, A.K, Burogohain, A.K, Trivedi, P, Saikia, P.J, Gehlot, P.S, Kumar, A, Chaturvedi, V, Sarma, D, Synthesis and biological evaluation of novel 1,2,3-triazole derivatives as anti-tubercular agents, Bioorganic&Medicinal Chemistry Letters, 2017, 27, 3698-3703. 6. Xu, G.Q, Mao, S, Mao, L.F, Jiang, Y.Q, Zhang, P, Li, W, Design, synthesis, and antifungal evaluation of novel 1,4-disubstituted 1,2,3-triazoles containing indole framework, Zeitschrift fur Naturforschung Section B-A Journal of Chemical Sciences, 2016, 71, 953-958. 7.	da Silva, G.B, Guimaraes, B.M, Assis, S.P.O, Lima, V.L.M, de Oliveira, R.N, Ultrasound-Assisted Synthesis of 1-N-beta-D-Glucopyranosyl-1H-1,2,3-triazole Benzo- heterocycles and their Anti-Inflammatory Activities, Journal of Brazilian Chemical Society, 2013, 24, 914-921. 8. Kolb, H.C, Finn, M.G, Sharpless, K.B, Click chemistry: Diverse chemical function from a few good reactions, Angewandte Chemie International Edition, 2001, 40, 2004-2021. 9. Botelho, M.B.S, Fernandez-Hernandez, J.M, de Queiroz T.B, Eckert, H, de Cola, L, de Camargo, A.S.S, Iridium(III)–surfactant complex immobilized in mesoporous silica via templated synthesis: a new route to optical materials, Journal of Material Chemistry, 2011, 21, 8829-8834. 10. Zammit, C.M, Wills, M, Use of triazole-ring formation to attach a Ru/TsDPEN complex for asymmetric transfer hydrogenation to a soluble polymer, Tetrahedron: Asymmetry, 2013, 24, 844-852. 11. Simmons, J.T, Allen, J.R, Morris, D.R, Clark, R.J, Levenson, C.W, Davidson, M.W, Zhu, L., Integrated and Passive 1,2,3-Triazolyl Groups in Fluorescent Indicators for Zinc(II) Ions: Thermodynamic and Kinetic Evaluations, Inorganic Chemistry, 2013, 52, 5838-5850. 12. Mindt, T.L, Struthers, H, Brans, L, Anguelov, T, Schweinsberg, C, Maes, V, Tourwe, D, Schibli, R, “Click to chelate”: Synthesis and installation of metal chelates into biomolecules in a single step, Journal of American Chemical Society, 2006, 128, 15096-15097. 13. Wang, J.-H, Wolff, M, Eychenne, R, Mallet-Ladeira, S, Benoist, E, Dirhenium(I) hexacarbonyl complexes bridged by 1,2,3-triazole ligand: Synthesis, structural and spectroscopic characterization, Inorganica Chimica Acta, 2017, 466, 551-558. 14. Burley, G.A, Boutadla, Y, Davies, D.L, Singh, K, Triazoles from N-Alkynylheterocycles and their coordination to iridium, Organometallics, 2012, 31, 1112-1117. 15. Kumar, S, Saleem, F, Singh, A.K, 'Click' generated 1,2,3-triazole based organosulfur/selenium ligands and their Pd(II) and Ru(II) complexes: their synthesis, structure and catalytic applications, Dalton Transactions, 2016, 45, 11445-11458. 16. Saleem, F, Rao, G.K, Kumar, A, Mukherjee, G, Singh, A.K, Catalyst activation with Cp*Rh-III/Ir-III-1,2,3-triazole-based organochalcogen ligand complexes: Transfer hydrogenation via loss of Cp* and N-methylmorpholine N-oxide based vs oppenauer-type oxidation, Organometallics, 2014, 33, 2341-2351. 17. Huang, J, Cai, J, Feng, H, Liu, Z, Fu, X, Miao, Q, Synthesis of salen Mn(III) immobilized onto the ZnPS-PVPA modified by 1,2,3-triazole and their application for asymmetric epoxidation of olefins, Tetrahedron, 2013, 69, 5460-5467. 18. Hua, C, Vuong, K.Q, Bhadbhade, M, Messerle, B.A, New rhodium(I) and iridium(I) complexes containing mixed pyrazolyl-1,2,3-triazolyl ligands as catalysts for hydroamination, Organometallics, 2012, 31, 1790-1800. 19. Warsink, S, Drost, R.M, Lutz, M, Spek, A.L, Elsevier, C.J, Modular synthesis of bidentate triazolyl-functionalized N-Heterocyclic carbenes and their palladium complexes, Organometallics, 2010, 29, 3109-3116. 20. Vuong, K.Q, Timerbulatova, M.G, Peterson, M.B, Bhadbhade, M, Messerle, B.A, Cationic Rh and Ir complexes containing bidentate imidazolylidene–1,2,3-triazole donor ligands: synthesis and preliminary catalytic studies, Dalton Transactions, 2013, 42, 14298-14308. 21. Gu, S, Xu, H, Zhang, N, Chen, W, Triazole-Functionalized N-Heterocyclic carbene complexes of palladium and platinum and efficient aqueous Suzuki–Miyaura coupling reaction, Chemistry-An Asian Journal, 2010, 5, 1677-1686. 22. Gu, S, Du, J, Huang, J, Xia, H, Yang, L, Xu, W, Lu, C, Bi- and trinuclear copper(I) complexes of 1,2,3-triazole-tethered NHC ligands: synthesis, structure, and catalytic properties, Beilstein Journal of Organic Chemistry, 2016, 12, 863-873. 23. Özdemir, İ, Şahin, N, Gök, Y, Demir, S, Çetinkaya, B, In situ generated 1-alkylbenzimidazole–palladium catalyst for the Suzuki coupling of aryl chlorides, Journal of Molecular Catalysis A:Chemical, 2005, 234, 181-185. 24. Kwok, S.W, Fotsing, J.R, Fraser, R.J, Rodionov, V.O, Fokin, V.V, Transition-Metal-Free catalytic synthesis of 1,5-Diaryl-1,2,3-triazoles, Organic Letters, 2010, 12, 4217-4219. 25. 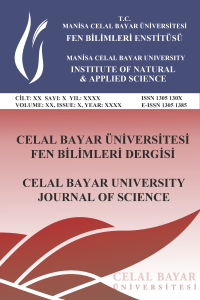 Küçükbay, H, Mumcu, A, Tekin, S, Sandal, S, Synthesis and evaluation of novel N,N-disubstituted benzimidazolium bromides salts as antitumor agents, Turkish Journal of Chemistry, 2016, 40, 393-401. 26. Karataş, M.O, Günal, S, Mansur, A, Alıcı, B, Çetinkaya, E, Synthesis and antimicrobial properties of cycloheptyl substituted benzimidazolium salts and their silver(I) carbene complexes, Heterocyclic Communications, 2016, 22, 357-361.